Elected delegates would be required to attend the annual meeting to cast a vote. Delegate ballots will be mailed from the ASA office in August of each year to members in good standing as of August 1 of that year. All ballots must be returned to the ASA office by the Tuesday after Labor Day in September of that year. When ballots are mailed there will be a list of members in good standing from that state or district for members to select from to fill in their ballots. Only one ballot or delegate will be allowed per membership vote per entity or membership. The ballots mailed for each state or district will include the number or delegates allocated from their state or district. When the ballots have been counted to determine who the delegates are, each delegate will be contacted to confirm their willingness and intentions to serve and attend the annual meeting to vote. If any elected delegate declines the position, then the member in standing with the next most votes will be contacted to serve as a delegate till all allotted delegates positions are filled from voting members in good standing. All delegates will be notified as soon as possible after the ballots have been returned to the office and counted. Delegates will be notified at least 30 days prior to the annual meeting. Delegates will serve their state or district representative from October 1 to September 31 of each year. 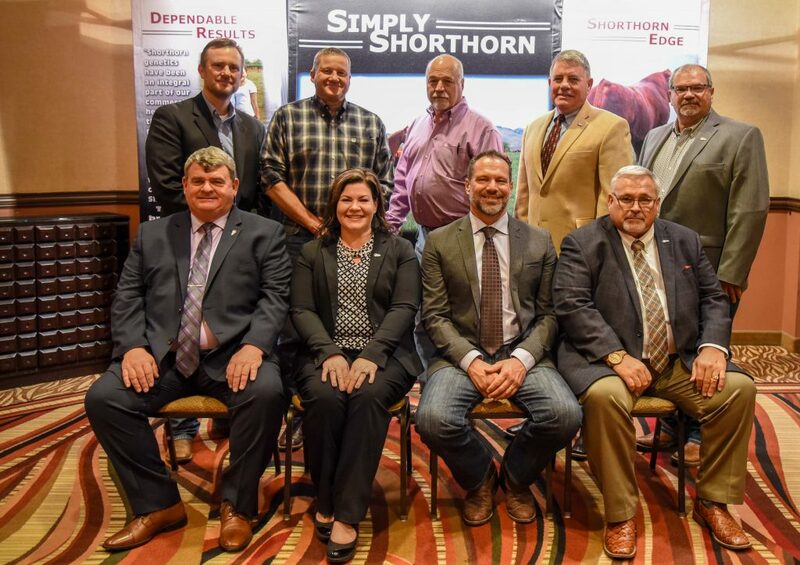 The member must be an adult member of the American Shorthorn Association and have membership paid in full by August 1. Each membership shall designate a family representative or entity representative for voting purposes at the annual meeting or for election to an ASA office. The member must not be over 90-day delinquent on their account to be a member in good standing. The member must have registered or transferred a minimum of one animal during that fiscal year September 1 to August 31, or be a WHR breeder and have at least one animal in their inventory and have their WHR fees paid in full by August 1. Each state will become a separate district to be recognized as a state delegation and Canada will be considered the equivalence of a state. The number of delegates from that state will be determined by the number of members in good standing at the time the ballots for delegate election are mailed. The allocation of delegates per members is as follows. 1-25 members in good standing =1 delegate. 26-50 members in good standing = 2 delegates. 51-75 members in good standing = 3 delegates. 76-100 members in good standing = 4 delegates. 101-125 members in good standing = 5 delegates. 126-150 members in good standing = 6 delegates and so on according to number of members in good standing. Delegates will vote by secret ballot. There will be one ballot with all the names of the candidates with space for added nominations from the floor. Each delegate will vote for the number of seats needing filled on the board. If there are three seats needing filled, then the three candidates with the most votes will be elected to the board. The ballot will not be counted if the delegate votes for less than or more appropriate number of positions on the board needing filled at that time. Each ballot will be designed for its state or district delegation. With the total number of votes allotted to that state listed on the ballot. Each delegate will represent their percentage of votes from their state or district. The votes for the state or district will be divided among the delegates attending and voting at the annual meeting that is turned in to the credentials committee. Each state or district will be allotted the total numbers of votes that determined the number of delegates that would be elected from that state or district providing at least one delegate is present to vote from that state or district. Only delegates attending the meeting that the election is taking place at can vote. There will not be any proxy votes accepted. The credentials committee will count the votes on the ballots and the results will be kept confidential. In the case of a protest, the Executive Committee will review the ballots and have final authority of the election. There will be a nominating committee for five ASA members to search out qualified candidates to serve on the ASA Board of Directors. The nominating committee will be appointed by the Executive committee of the ASA Board of Directors. The nominating committee will serve from annual meeting to annual meeting. A new nominating committee will be announced at each annual meeting. The nominating committee needs to find at least one candidate for each open Board position needing to be elected that year. Any member in good standing as of August 1 of each year wishing to run for the ASA Board of Directors may send their intent to run for the ASA Board of Directors to the nominating committee and the nominating committee must accept that person as a candidate. All candidates must be members in good standing and appointed at least 90 days prior to the annual meeting so they can have a biography in the breed publication before the annual meeting. Candidates submitted by the nominating committee must be approved by membership at annual meeting. The President must ask for nominations from the floor at the annual meeting. The nominating committee should take geographic area into consideration when selecting candidates to have a large coverage of the country to keep from having all the Board of Directors from the same area, if possible.